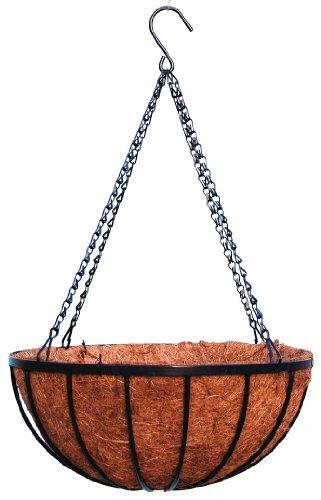 Each heavy gauge rigid steel basket is powder coated black. Comes with heavy duty chain hanger and large mouth hook. Liner has built in water retainer. Original design by Stefan Przystanski. Direct from manufacturer!